The DML Lab collaborates with teachers and students to integrate digital media with curriculum. Ideally the units we create are curiosity-driven, digitally connected, and reinforcing the work of the class/teacher. In Science 8 recently we wanted to demonstrate knowledge of biomes and ecosystems—flora/fauna, climate, abiotic factors, and environmental concerns such as deforestation, drilling, global warming, invasive species, etc. In the past, students had made posters (which are still fun and cool!). This time, though, we introduced Mozilla’s PopcornMaker. We had also used Zeega in another class. Both are resources to remix the web and create media experiences that tap the Internet’s shifting data flow. The (80+) students did a good job, learning the PopcornMaker within a class period or two, researching, and creating some beautiful and at times informative pieces. See several examples in here (works best in Chrome) or here. Because tools like Popcorn and Zeega can tap the web (a Flickr or Twitter hashtag, a Wikipedia entry), and because those content sources change, it’s difficult to cite consistently and precisely what you’re pulling into the Popcorn project. Our students found much of their information from their Holt Science & Technology Environmental Science textbook, but I am sure other content found its way into the presentations. So the question arises: How do you cite a remix? Do you cite a remix of a remix? 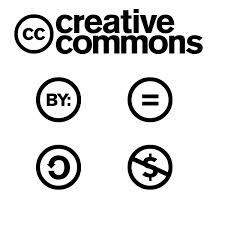 Creative Commons begins to address the attribution problem. And we could always use a Works Cited page at the end of the Popcorn project. But I’m not sure that adequately addresses our scholarly responsibility. Mitch Resnick and the Scratch team encourage remixing—borrowing others’ Scratch creations, using them as starting points, then modding them. Additionally, bringing outside (knowledgeable) voices into a presentation strengthens the argument. But when is appropriation alright, and how do we reconcile this act with academic research process? Thoughts on remixing the web and introducing (new) digital media into the classroom. Rights. As I understand, users have relinquished some degree of their rights when they signed a user agreement with, say, Flickr, so if the company (Yahoo) wants to share their photos, the user may or may not have recourse. Flickr thankfully uses Creative Commons, but what’s at stake here if attribution is not required the corporate content owner? Content. When I introduced new tools—Scratch, Zeega, Popcorn, and others—the project content was sometimes not as deep as I had hoped. Yet in one unit the Prezis students made on periodic table elements delved deep into the atomic structures and properties of various elements. Did one tool lend itself more readily to the granular tasks at hand? No doubt, there is a delicate balance to be struck among several factors: the time and brain power needed to ramp up and learn tech and the creative process and research and academic rigor. Shininess coefficient. 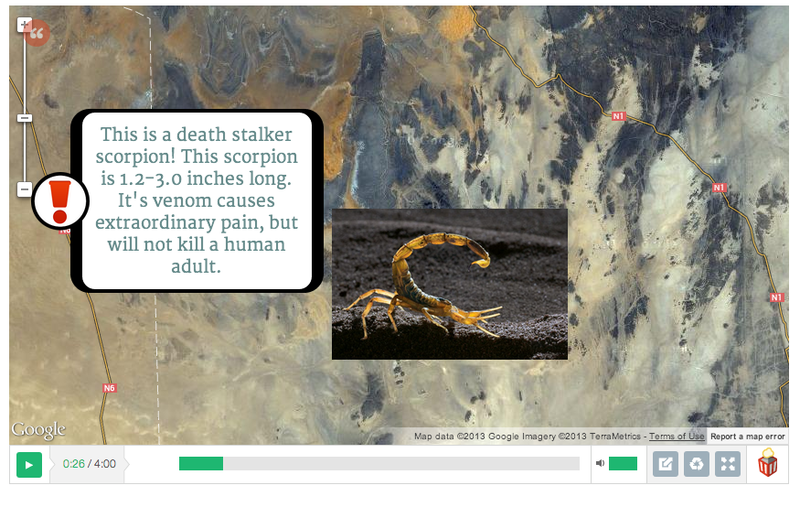 Sometimes with limited effort students can produce a slick presentation, but it lacks depth. We need to see through this illusion and coax students toward substance. Remarkable and powerful is the HTML5ness of PopcornMaker’s capabilities— it embraces the web and folds live portions of it directly and dynamically into the project. Students, though, habituated to a PPT or Keynote mindset, think in the linearity of slides. More experience with these tools will hopefully open up greater willingness to experiment with the live web and its branching, looping, constantly changing elements. Grade. How do you grade a project that shifts and changes with the Internet?